It’s all about being able to make a difference! 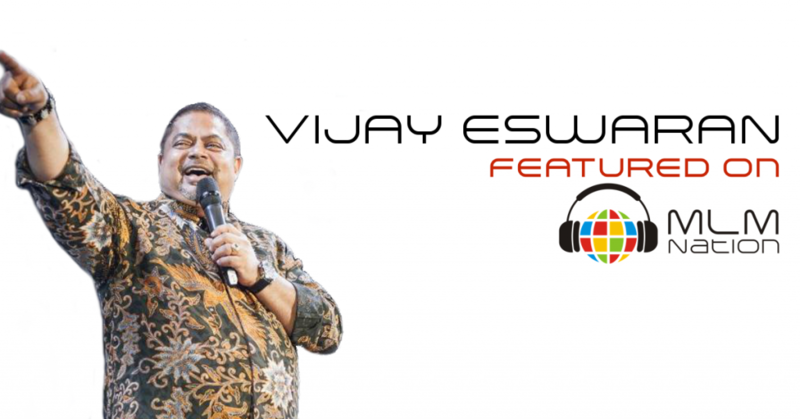 Vijay Eswaran shows us what steps to take to become that visionary leader that others will follow. And also, the one major thing that holds most distributors back. Vijay Eswaran is a successful entrepreneur, bestselling author, and a well-known philanthropist. An economist by training, he is the founder of a global business conglomerate whose flagship business is the multimillion-dollar network marketing business. Vijay started his journey in network marketing as a student in the UK and continued to dabble in it part time when he moved to the US in the mid-80s for work. In the early 90s, he returned to Asia and decided to pursue network marketing full time. After an unpleasant experience with their company in 1998, he and his partners decided to use their knowledge and experience to start a network marketing company of their own. Vijay is a well known thought leader in Asia and has written and spoken extensively about business, leadership, personal development, and life management and is a passionate advocate for improving the quality of higher education in South East Asia. Vijay is also the recipient of numerous awards for entrepreneurship and business leadership and has been featured in Forbes as one of Asia’s Top 50 philanthropists.